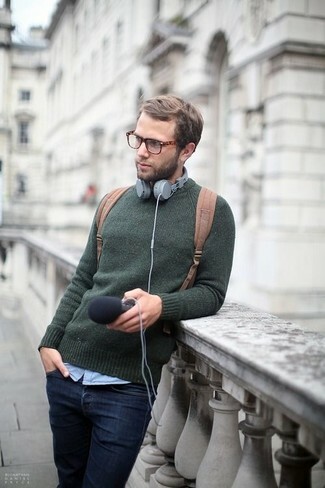 If you're scouting for a casual yet on-trend ensemble, wear a dark green crew-neck sweater and ROLLA'S stinger skinny fit jeans. Both pieces are totally comfortable and will look great paired together. 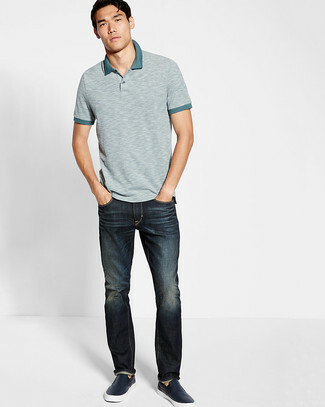 If you're in search of a casual yet seriously stylish ensemble, go for a grey polo and navy jeans. Both items are totally comfortable and will look great paired together. When it comes to footwear, this look is finished off wonderfully with navy leather slip-on sneakers. For a smart casual outfit, reach for a beige trenchcoat and navy jeans — these pieces fit really good together. For something more on the daring side to complement this getup, opt for a pair of black leather work boots. 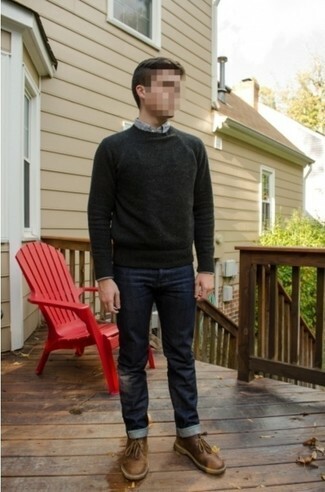 This combination of a charcoal crew-neck sweater and navy jeans is simple, stylish and super easy to replicate. 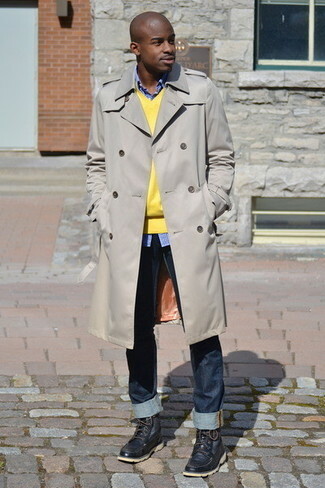 When it comes to shoes, this look is round off wonderfully with brown leather desert boots. If you're after a casual yet stylish look, wear a brown leather bomber jacket and ROLLA'S stinger skinny fit jeans from Nordstrom. Both pieces are totally comfortable and will look great together. 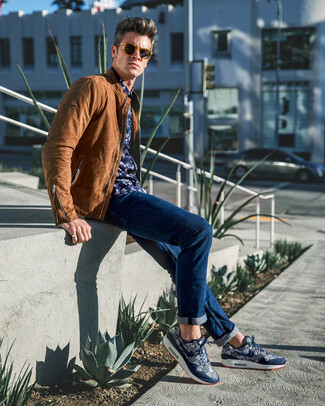 Navy print athletic shoes will add a more relaxed feel to your look. 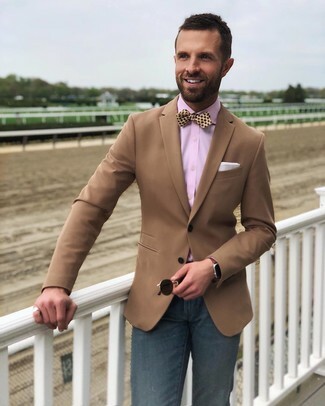 Pairing a brown blazer and ROLLA'S Stinger Skinny Fit Jeans is a guaranteed way to inject rugged elegance into your current rotation. 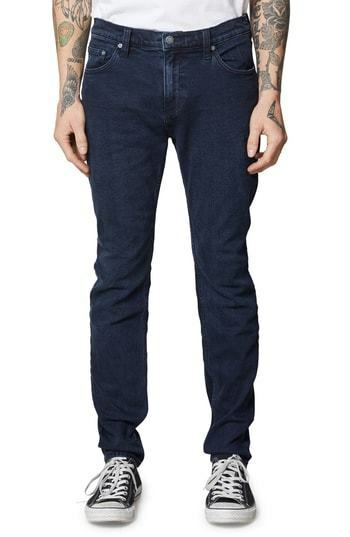 If you're after a casual yet sharp look, pair a navy bomber jacket with ROLLA'S stinger skinny fit jeans. Both items are totally comfortable and will look great paired together. And if you want to instantly up the style ante of your look with one piece, add black leather casual boots to the equation. If you're in search of a casual yet dapper ensemble, choose a violet v-neck t-shirt and ROLLA'S stinger skinny fit jeans from Nordstrom. Both pieces are totally comfortable and will look great paired together. If you're on the hunt for a casual yet seriously stylish getup, try teaming a black bomber jacket with ROLLA'S stinger skinny fit jeans. Both items are totally comfortable and will look great paired together. Bump up the cool of your look by finishing off with tan leather oxford shoes.